Chocolate Chip Cookies a la Rochele! I have lived in the beautiful and diverse city of Surrey BC for 23 years. Surrey is the fastest growing city in British Columbia and will overtake Vancouver as the largest city in BC by population in the next 10 to 20 years. There has always been good pizza joints in my city but never one that was close enough to me to order from on a regular basis that wasn’t just cheap, or so I thought. I have lived in the Fleetwood neighborhood for almost ten years and there has been an amazing food spot only 6 blocks from my front door the whole time!!! 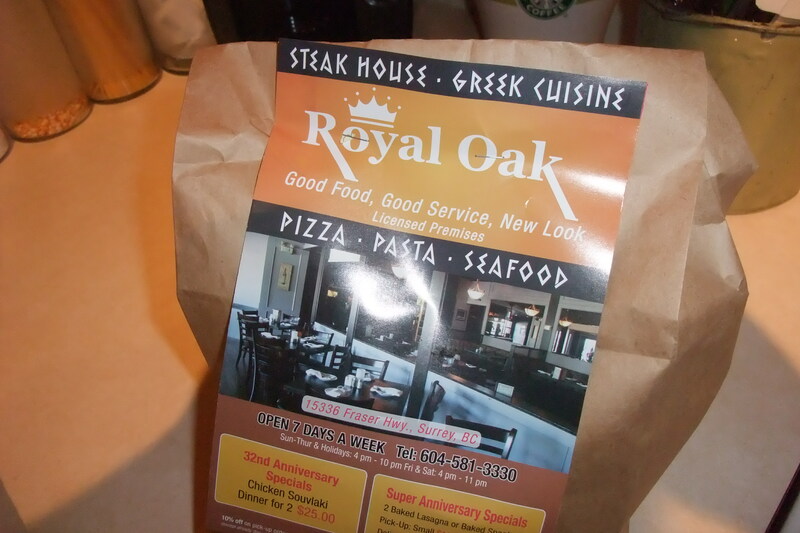 Royal Oak Restaurant is located at 15336 Fraser Highway in Surrey and has been operating for over 30 years. Serving a diverse menu including pizza, pasta, steak, chicken and Greek food it was the place where my friend Doug used to take his dates in high school because it was the nicest place he could afford, how Dutch…Anyone offended by Dutch jokes should know that Doug is Dutch and is proud of being able to pinch a penny so tight it turns into copper wire. The real draw for me was hearing from a co-worker who has lived in the area for 42 years that Royal Oak had the best Pizza in Surrey. That was all the encouragement I needed. I looked up their menu online a couple days later and decided to order some takeout! There was a combo that had 2 pizzas with 2 topping each and 25 chicken wings and seeing as I hadn’t been to the pub for wing Wednesday in far too long it was declared the winner and I placed my order. 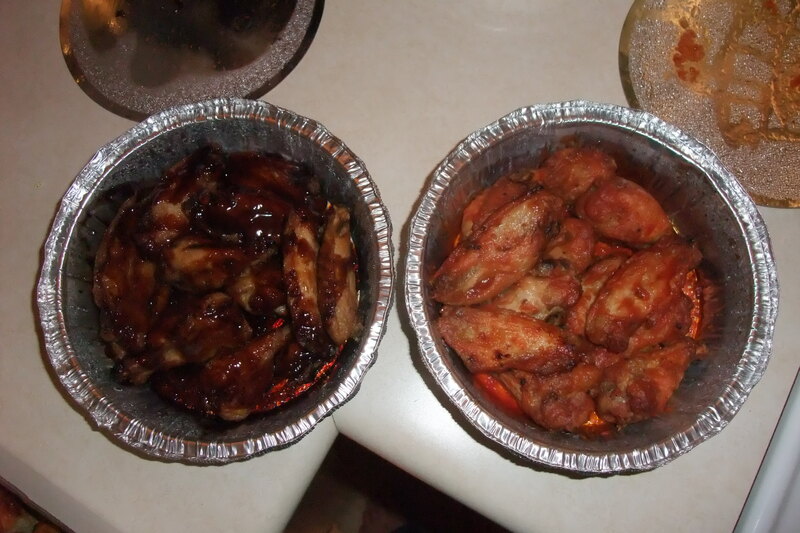 I split the wing order in to 2 flavors, hot and teriyaki. My pizza had Italian salami and hot pepperoni and Lyndsey’s had ham and pineapple. The pizza was everything I was promised, hand made crust, lots of cheese baked to an amazing dark golden brown with stringy melted goodness hidden below. The sauce was almost undetectable due to the over powering heat of the hot pepperoni, which wasn’t a bad thing. The pepperoni could have stood alone without the Italian salami, which was a little lost behind the cheese, crust and pepperoni. The ham and pineapple looked really good too but I was too enthralled with my pizza to try it. The wings were good, nothing to brag about though. A little too saucy with not much flavor. The hot wings had no heat at all especially after eating the hot pepperoni. Teriyaki wings aren’t my favorite but they were much better than the hot wings. 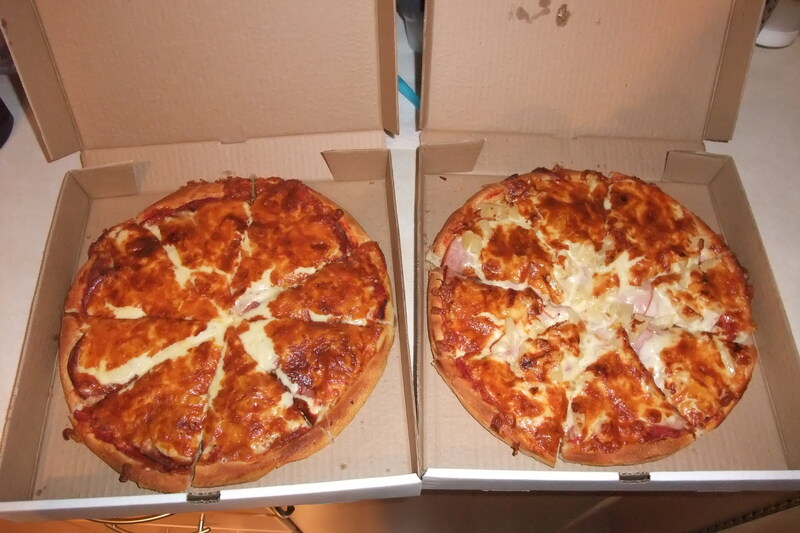 I’m very happy to say that the pizza is the best pizza I have ever eaten in my home town. The best part about it is that it’s so close to home, and that they also have a lovely restaurant that the family and I can walk to for a sit down dinner. My pizza prayers have been answered. This entry was posted in children, Delicious, food, Uncategorized, vancouver and tagged binge drinking, blog, Canada, eat, eating, food, friends, gourmet, Greek, green, hangover, head aches, Lobster, love, Meat, overeating, pizza, restaurant, Royal Oak, surrey, vancouver, Wings. Bookmark the permalink. I’m not sure if its the same owners or not, but there was a Royal Oak Steak and Pizza House actually on Royal Oak in Burnaby that looked strikingly similar to this one. My dad used to take me there when I was a kid cuz he lived close to it. I wonder if they are the same. I’ve been wanting to go to the one on Fraser Highway for awhile now just to see. Damn, I should not read your blog when I’m starving and haven’t eaten dinner yet. All those photos, all that foooooood. Makes me wish I lived in Surrey. I guess I’ll go down to the ol’ Embers BBQ house in Mission, it’s fantastically priced and super delicious. Heard of it? If not, if you are ever in Mission workin on an elevator, you have to check it out! Bloggers.com Check out my about.me profile!